We met at Baru with Sergio and Dr Yanina and I said I would be in touch with you. I looked at your website and art there- very impressive work. We both did this subject so I thought that I would show you mine… not sure if a link will work in a comment section but cut and paste if not… or you can go to my website. I would love to see if my new comment section works. I hope you have a great time and many sales in the upcoming Yacht show. I looked it up and boy it is a great great idea. I hope someday I can be a part of this too. If you know to whom I can ask I would appreciate it very much. I did mine as an illustration to the time I was with my younger brother Bob when I felt the presence of angels. He is the person in the bed. 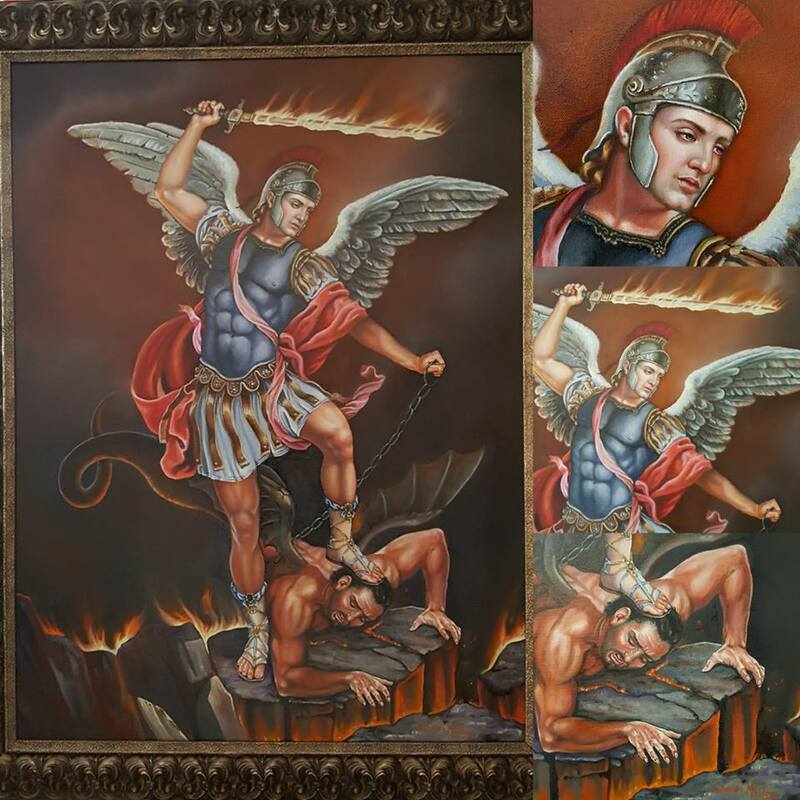 I loved your version of Saint Michael, it shows a lot of emotion and I’m glad that you could feel the confort of their presence in a difficult time. I will take a look at your website, it was a pleasure meeting you at Baru and to be able to share with Sergio, Dr Yanina and everybody else that night.